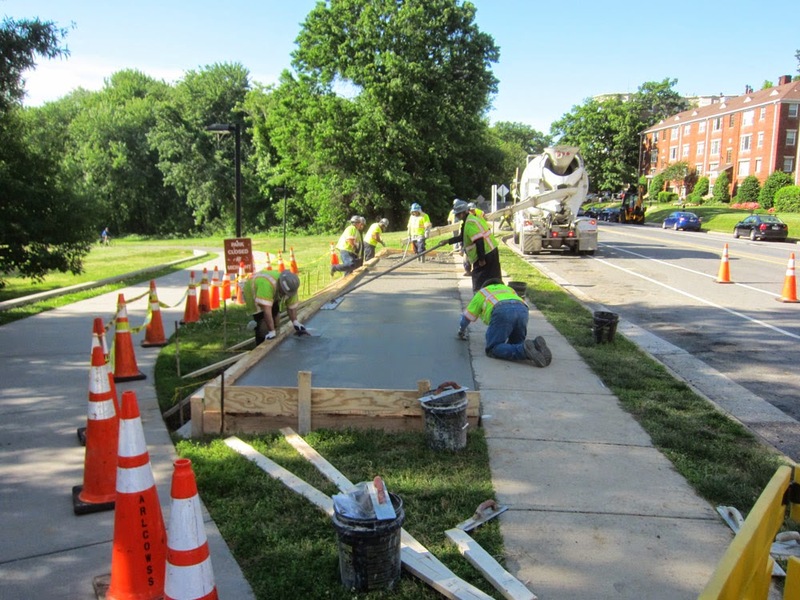 For the last two weeks, construction crews have been hard at work building a concrete platform for a new Capital Bikeshare bike station in front of Rosslyn Vista Park. This park features the world-famous Iwo Jima Memorial and the Netherlands carillon. It's also a favorite waterless beach during the summer. Soon everyone will be able to get right to Rosslyn Vista Park on a Capital Bikeshare bike.